Those of us in the 99.86 percentile of the population who aren’t among the richest 9.5 million may never give thought as to whether billionaires deserve their wealth. We’ve been so brainwashed into an “it-is-what-it-is” philosophy that most of us are likely to be blase about the concept of incalculable wealth. Sure, we might spare a resentful or bitter passing thought once in awhile, but for the most part we’re too busy remembering to pick up toilet paper on the way home from work to wonder: just where do these greedy bastards get off? 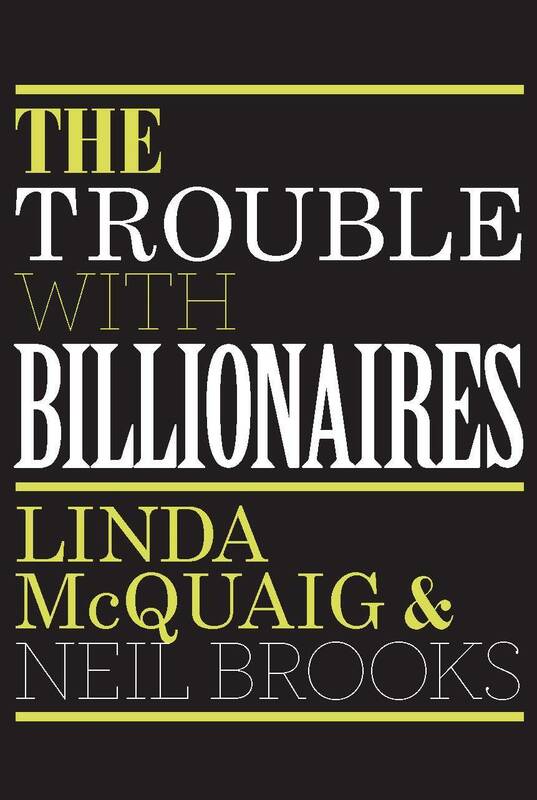 Linda McQuaig asks that question, in much more logical and rational terms, in her new book The Trouble with Billionaires Viking Canada, 272 pps., hardcover, $34). The journalist, for whom the term “muckraking” seems to have been invented, borrows a concept – to present the distribution of income as a national parade in which everyone marches in order of height – from Dutch statistician Jan Pen that puts the wealth of these relatively few individuals in terms we might be able to grasp. She then asks whether these people truly deserve their fortunes, how these vast amounts of wealth came to be, and why this has wreaked havoc with the world economy. The Trouble with Billionaires (written with tax law professor Neil Brooks) is a provocative book; anyone to the left of Glenn Beck will probably want to become an anarchist five chapters in. We talked to McQuaig, whose other books include It’s the Crude, Dude (how oil affects foreign policy) and Holding the Bully’s Coat (the Canadian government’s sycophantic relationship with the U.S.) at home in Toronto, about our casino economy, why no one wants to ask these questions, and how hedge-fund trader John Paulson can be walking around a free man – and a billionaire. Shawn Conner: What do you think of the state of political discourse, particularly in the U.S.? 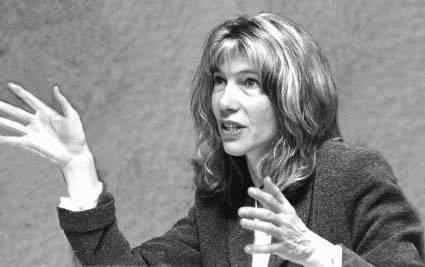 Linda McQuaig: Obviously, in some quarters, there is some incredibly good discourse going on. I read some wonderful things, various commentators and writers I follow that I really like. I don’t too much about Fox News except what I’ve see on the Jon Stewart show, but judging from that, I’d say the level of discourse is appallingly bad. There’s no serious debate in the U.S. about the Middle East, about Israel and the Palestinians, that subject is never treated with any seriousness. And there’s no serious debate about U.S. military involvement abroad, about whether there’s any legitimacy to them being in Iraq or Afghanistan in the first place. In terms of economic issues, you do see some debate. There’s been a lot of debate over Obama’s attempt to raise the tax rate on people with income over $250,000, though it never gets beyond a kind of superficial level. It never gets into questions like we do in the book, like is there any justification for these huge incomes at the top. And do the rich even deserve their vast fortunes. That kind of thing just goes without saying, they just assume all that is justified. SC: It’s like there’s been a collective brainwashing where you deserve anything you can get. LM: The assumption is that whatever the so-called market has given you – and, as we point out in the book, the market is just a creation of the state – is deemed to be utterly fair and just. That’s a huge, huge assumption which is never challenged in the media. LM: I think it comes from a deliberate desire to suppress those questions. Because most people, if they thought about it, would think there was something intrinsically unjust or wrong or unappealing about the idea of, let’s say, some guy working in derivatives trading is making tens of thousands times more than a nurse makes. It’s just hard to imagine the argument, if someone was forced to make it, how that derivatives trader – who by the way risks bringing the whole financial system down, as we’ve seen recently – how that person is contributing tens of thousands of times more to society than a nurse. It boggles the mind. It defies credulity. So better not to get into the subject. SC: Where is the interest in the book coming from – the corners? LM: I think it’s fair to say there’s a lot of interest in the corners. I have always made a point of trying to be in the mainstream media. I’ve worked at the Globe, the Star, the CBC, the Montreal Gazette, as a reporter, producer, various things. And now I’m a columnist, I’ve been one for over 10 years now. I feel like I’m in the mainstream, and in fairness I do get some attention from the mainstream. At the same time, let me put it this way – I don’t think the mainstream media has given the themes of this book attention. SC: It’s indicative of where society’s at that this book will probably automatically be labeled a left-wing book, even though it’s just asking what seems to be very logical, even non-partisan questions. LM: I think that’s true. There’s only been one mainstream review of the book, as far as I’m aware, and it was in the Toronto Star business section, which is the wrong place, because they’re automatically hostile to it. All they do is attack the arguments, and make it sound like it’s a left-wing diatribe against business. I think we’re just raising these logical questions. To see it as some big lefty book – what we hold up as examples of things that work much better, a lot of it is hearkening back to the, early post-war years in Canada and the U.S. In the pre-1980s there was a much more egalitarian distribution of income, higher taxes on the rich, and more financial regulation. And it worked much better. That was obviously under a capitalist system. Those are capitalist times. All we’re raising are questions of why is it that the remuneration that people at the top received back then seemed to work, seemed to produce effective incentives, why can’t that work now? Why is that some kind of radical socialist question? 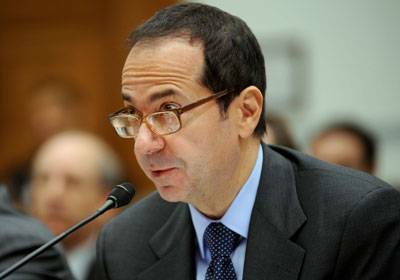 LM: John Paulson. That is pretty outrageous. The U.S. government originally was looking into charges against Goldman Sachs in connection with that. Last April they laid charges, and it looked like they might even go after Paulson, because he was part of that deal. Now they’ve backed off completely. That’s just infuriating. To imagine the destruction that Paulson and [Angelo] Mozilo from Countrywide Financial, the sheer scope of the damage these guys did, knowingly peddling these subprime mortgages to people who were so vulnerable, who don’t have lawyers poring over the contract with them to see the fine print, and so they get in way over their heads and lose their homes – it’s just tragic, it’s outrageous. And the fact there was no attempt to bring any charges of any kind to these people, it’s unbelievable. Wall Street’s just walked away from everything they did. Stuff like that is infuriating. A guy like Paulson, putting together these bundles of mortgages and deliberately structuring them so they would likely fail, and then taking out insurance and betting they’re going to fail – this is deliberate conscious stuff, it didn’t happen by accident. This is shaping the events in the casino to the disadvantage of lots of innocent people. And then there are repercussions around the world. We’re still seeing the effects, and we’re going to for decades. Now we’re back in the world of deficits. We can’t rebuild our healthcare and education systems we’re told because we’re faced with all these deficits. Why are we faced with all these deficits? Because of all of the fraudulent and reckless behaviour of a lot of people on Wall Street. Why is there no action against this? It’s unconscionable. 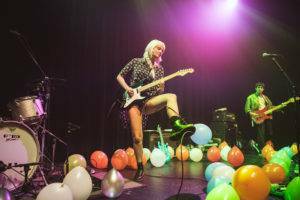 This entry was posted in interviews and tagged books, interviews, Linda McQuaig. Bookmark the permalink. I usually read your columns in the newspaper, but I was particularly taken with your discussion with Steve Paikin. I watch his program every evening and sometimes twice an evening because I find most of his programs fascinating and informative. However, I must admit that he disappointed me tonight in that you could not get through to him. I must admit also, that he also did not seem to get Noam Chomsky’s argument either. A fascinating evening of information and insight, but unfortunately marred by Steve’s ??? (tunnel vision)??? ?